There is a public car park in front of the hostel with spaces for about 23 cars. Very nice hostel with ample communal space. Very nice front desk team. Hostel is on a little peninsula, so you have the bay right at the front door. Most of the Isle of Skye "attractions" are further north on the island, which means a (beautiful but long) drive out and back each day. The other people staying here didn't have a car and they were able to work around this (tour pickups, transport), but I could imagine this being a hassle. as a hostel, i love everything that Broadford Youth Hostel can offer. Dont aspect what a hotel can offer to you (good breakfast, toiletries etc), but the basic things for an adventurous journey to Skye are good enough at this hostel. With a large kitchen complete with all the kitchen appliances (the best part of it because I love to cook and love large kitchen lol! ), definitely will recommend to my friends and family. Ample parking space, clean toilet and bathroom, secured. I enjoyed my stay very much. Staff were pleasant, there is a good-sized kitchen and a comfortable lounge in which to relax and enjoy the fine view of the bay. All the amenities of the village are but a short walk away. 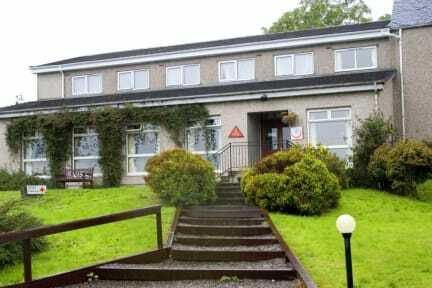 I would recommend Broadford Youth Hostel to other travellers. Good, clean,well run, outstanding views. Had an nice stay here. Staff were really lovely, beds were comfortable and the view from the hostel is amazing! Location is great, although I would recommend hiring a car as it is not that easy to get around otherwise. I will say that the showers were pretty terrible. After a long day walking in the rain I just wanted a hot shower and they constantly changed from freezing cold to boiling hot and the pressure was non-existent. Other than that, a great stay. the place was a bit grubby and not kept nicely like most hostels. Needed some upgrading and tidying up. It was a nice & clean place to stay. The rooms where quite cold which coming from the cold outside was not so nice. Too expensive, youth hostels are no longer affordable by youth. I have travelled around the UK for the past month and stayed at many hostels but found no youth, just oldies. 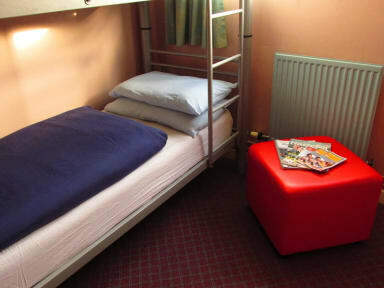 I stayed at Broadford Hostel as a family of four, the room was too small and we given two bunk beds.. However the hostel kitchen, dining and lounge areas were first class. The atmosphere in the hostel would be happier if the staff smiled.